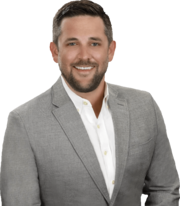 Jordan is a full service real estate agent in the Dallas Fort Worth area. He has a comprehensive understanding of the market and is skillful in pricing and marketing. Jordan will always put the client first and make sure their needs are met. He specializes in providing the highest level of customer service possible in the real estate business. His hope is that your experience is so enjoyable that you refer your family and friends! Jordan resides in North Fort Worth with his wife and son. They love being a part of their community and church. He is graduate of the University of Arkansas.